Soda is bad for us, we know this. Most people seem to think that the biggest worry we should have when drinking soda is the weight gain aspect of it. In other words, most people think that drinking soda really only hurts our weight, but that’s not the case. Drinking soda actually harms us in a range of ways, yet people still seem to drink it every day. Though it is true that soda can increase your weight, it can also affect your health in more negative ways. For instance, drinking soda on a regular basis can cause you to have high blood pressure. In addition, it can also have you feeling tired and sluggish, as well as bloated and depressed. There’s really no up-side to this beverage. To go even further on this topic, I’ll give you a view of what one soda a day versus two sodas a day can do to your body. One soda a day can add an extra half pound of visceral fat to your body and two sodas a day can potentially double your risk of heart disease. And, what’s worse about this whole situation is that beverages like soda, sweetened tea, and fruit punch are the only substances we put into our bodies that can harbor such an effect on us. In other words, foods that are sweet do not provide the same effect as drinks that are sweet. This is true because foods that are sweet tend to have fats, proteins, and fibers in them, unlike drinks that are sweet. Drinks such as soda are typically only comprised of sugar and water. With all of that being said, we can now dive into why quitting soda is a good idea, and how you can give it up for good. Why is quitting soda a good idea? Generally, when we give up the sugary drink we automatically feel better. For example, instead of feeling sluggish and tired, our bodies will feel more concentrated and alert. Let me explain a little further. When you drink soda to help you ‘wake up,’ you generally drink it because you know that there is caffeine in the drink. However, if a caffeinated drink is also loaded with sugar, it will tend to have the opposite effect on your body, therefore giving you energy at first, but then depleting your energy levels soon thereafter. This is why health care professionals suggest going with another beverage that is caffeinated yet not loaded with sugar if you’re trying to wake up; for instance, try green tea. It’ll work wonders. 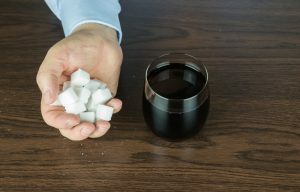 So, now that we know quitting soda will help us lose some weight, become more aware of our surroundings, and concentrate better, I think we should take the next step: Let’s learn how to get away from the sugary, caffeinated beverage. How can you give up soda for good? I’ve been using this detox plan for quite some time now, and let me tell you, it’s been working so far. 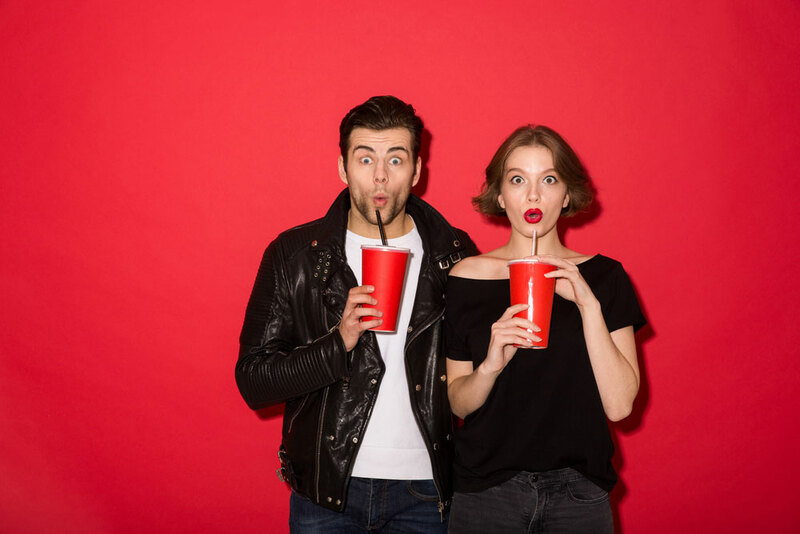 Check it out and see what steps you can take to stop your soda-craze. Like I mentioned before, switch up your drink choices; go with green tea, for instance. Don’t get discouraged when you find that you may not like green tea, though. There are several alternatives you can turn to. Before you go deciding on another drink replacement, keep in mind that you should not drift towards choosing any type of diet soda. 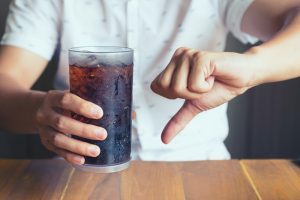 Diet soda should be off-limits just like regular soda is; the two beverages have almost the same amount of sugar added to them, the only difference is that there may possibly be fewer calories in the diet version. If you like the fizzy aspect of soda, go with flavored seltzer water. If you like the caffeine aspect of soda, go with a caffeinated tea of some sort. If you want something on the healthy side, go with water (but make it interesting and throw some type of fruit in there, like oranges or lemons and limes). Typically, people have a routine that they follow every day, and that includes you. You probably drink soda only at certain times, such as during lunch and/or dinner. If you used to drink soda during lunch and/or dinner, or during another specific time of the day, try swapping it out with your replacement at the same time each day. Basically, instead of drinking soda at lunch, swap it out for that tea I mentioned earlier. In addition, if you always used to drink soda on certain occasions, like when you went to the movies or when you attended a family cookout, try drinking something else for a change. Bring a sparkling tea along with you and see if your taste buds can get used to it; your overall health will thank you afterward. Reward yourself the right way: Without using soda as the “prize.” Instead, go grab yourself a nice iced coffee and throw one teaspoon of sugar in it. If you absolutely must, grab yourself a soda once in a great while, but don’t feel guilty about it. Marketing techniques today aim to get your attention. And while they do a good job at it, you can train yourself to resist them. That means don’t pay attention to the new soda flavors on the television, or the ads used to bribe you into buying the beverage. Don’t let them fool you. Think about it this way: The sooner you start to think that the advertisements are just a gimmick to get your attention, the sooner you’ll be able to forget about your soda cravings. Take a sip of the drink after you’ve gotten rid of your cravings. Wait a few months and try the sweet drink again; you may think it’s sweeter than it was before or you may think it’s more metallic than it ever could have been. Either way, you’ll probably not want it like you used to. Remember, all you have to do is get over that craving hump and you’ll be in the clear!